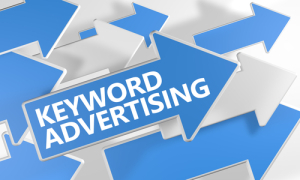 I recently posted a co-authored article, Regulation of Lawyers’ Use of Competitive Keyword Advertising, discussing lawyers’ use of competitive keyword ads triggered by other lawyers’ names. That article examines both IP laws and attorney rules of professional conduct and explains why buying lawyers’ names for competitive keyword ads is permissible and desirable. If you haven’t read it, it will be a helpful foundation for the rest of this post. In light of our paper, a new opinion from South Carolina Supreme Court left me scratching my head. The case reached the Supreme Court as an “Agreement for Discipline by Consent” between the state bar counsel and Zachary Naert–basically, a settlement agreement. The Supreme Court approved the settlement in an opinion with scant analysis. Ripped off? Lied to? Scammed? Because of the inscrutable language, it’s unclear if the “advertisement” lacking the responsible lawyer’s name was just the firm’s website or if it also included the keyword ads. If it’s the latter, this creates a dilemma because keyword ad copy space is so tight that there may not be enough room to name the responsible lawyer. (Although the ad copy often will include the lawyer’s name in the URL–will that satisfy the bar regulations?). It’s also unclear what made the keyword ads unethical or “derogatory.” The court summarizes the lawyer’s oath: “lawyer pledges to opposing parties and their counsel fairness, integrity, and civility in all written communications and to employ only such means consistent with trust, honor, and principles of professionalism.” (Protip: usually when a disciplinary authority enforces the lawyer oath, it’s because they didn’t have a very strong case of misconduct). So how did Naert violate the oath? Is buying opposing counsels’ names as keywords per se unfair/lacking integrity/incivil/untrustworthy/dishonorable/unprofessional? If so, this ruling follows the same path as the North Carolina ethics opinion we criticize in our article; that opinion said comparative keyword ad buys on other lawyers’ names were “neither fair nor straightforward.” Even if South Carolina was following North Carolina’s lead, that still doesn’t explain how merely buying the names as keywords was “derogatory.” Given the derogatory reference, a more likely possibility is that this ad copy, when triggered by an opposing lawyer’s name, might imply that the opposing lawyers were the “timeshare attorneys” and they were ripping off/lying/scamming. If the latter possibility is correct, then other types of comparative keyword ads, or even a cleaner implementation of this ad copy, would have avoided the problem. Because of the opinion’s opacity, I only draw a couple of tentative implications from this opinion. First, if you’re a lawyer buying other lawyers’ names and your ad copy isn’t making clear comparative statements, buying another lawyer’s name as the keyword trigger has murky implications. Second, a ruling like this reinforces that we need to repeal the North Carolina ethics opinion and instead adopt affirmative provisions throughout the country permitting keyword ads on other lawyers’ names. We are going to reach that outcome either way, but we’ll get there faster and cleaner via affirmative safe harbors. Case citation: In re Naert, 2015 WL 5722624 (S.C. Sup. Ct. Sept. 30, 2015). * Want To Know Amazon’s Confidential Settlement Terms For A Keyword Advertising Lawsuit? Merry Christmas!